Sport is a genre that is well suited to video games and Sony has always been one step ahead of its competitors. 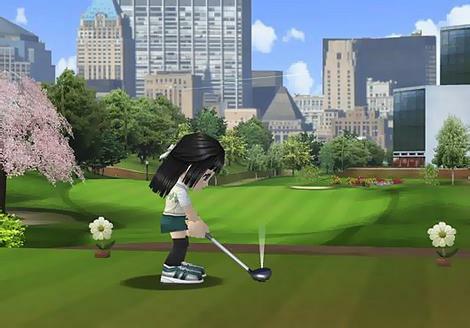 In this case, Everybody’s Golf is a classic of the sticks to arcade-style sport and home beautifully in the PS Vita. This title is perfect for golf enthusiasts and those who are not so much because it is not a simulator but an arcade fun everyone can enjoy, even without technical knowledge of the sport. Thanks to its simple gameplay mechanics very soon will draw the most out a game that entertains and diverts from the start. Everybody’s Golf presents us complete holes by defining the direction and power that we give to the ball after considering the logical variables of the golf course (wind, uneven field of game, etc..). The golf courses are well designed and although the aesthetic is very casual, all that appears on the screen makes sense in the course of the game and were amazed by the complexity that achieve holing the ball in the hole. The game player can choose and adapt its characteristics according to our tastes and style of play. Certainly the challenge mode is the most attractive and consists of several tours unlockables, increasing in difficulty and divided by categories. Each tour includes five tournaments and these in turn between 9 and 18 holes. If this were not enough, the game also includes a multiplayer and the ability to play online. All in all, a fun game that will make us feel like Rafael Nadal and practicing golf in a very entertaining way.